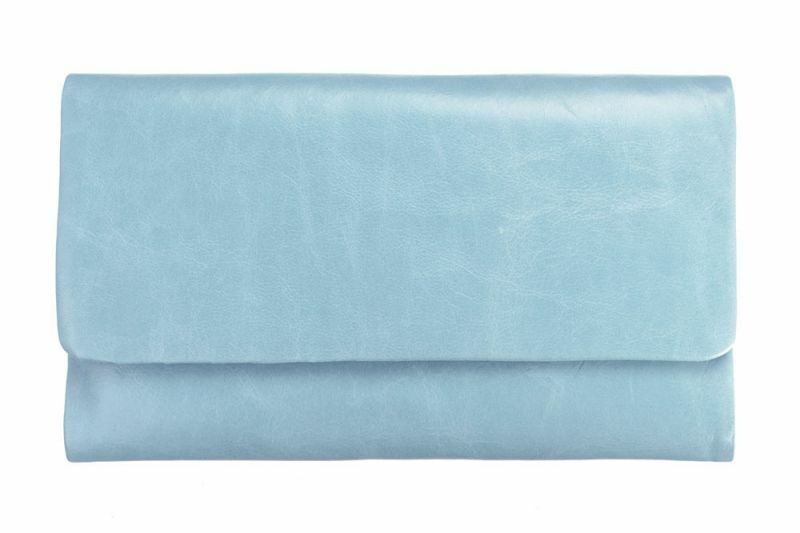 Beautiful soft 'sky blue' Audrey! 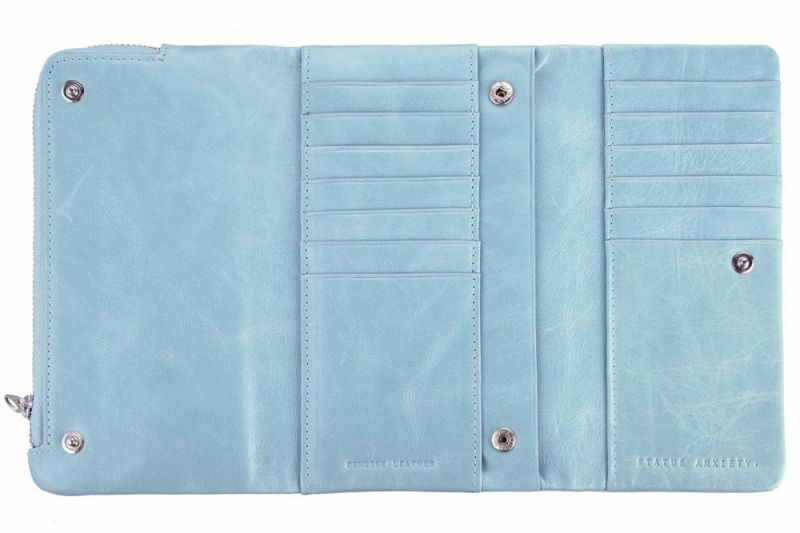 Made with full grain Italian calf leather, this wallet has heaps or room to hold up to 14 cards. 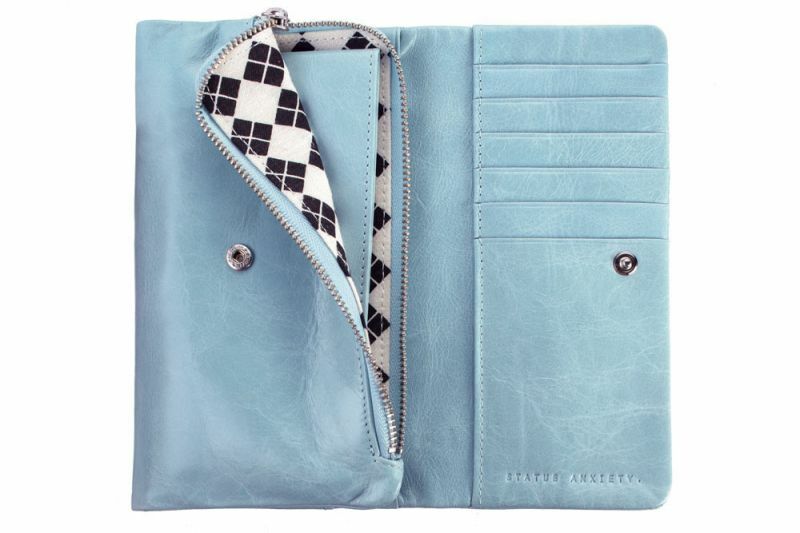 She has a lock away zip area for change and a separate compartment for notes and reciepts.